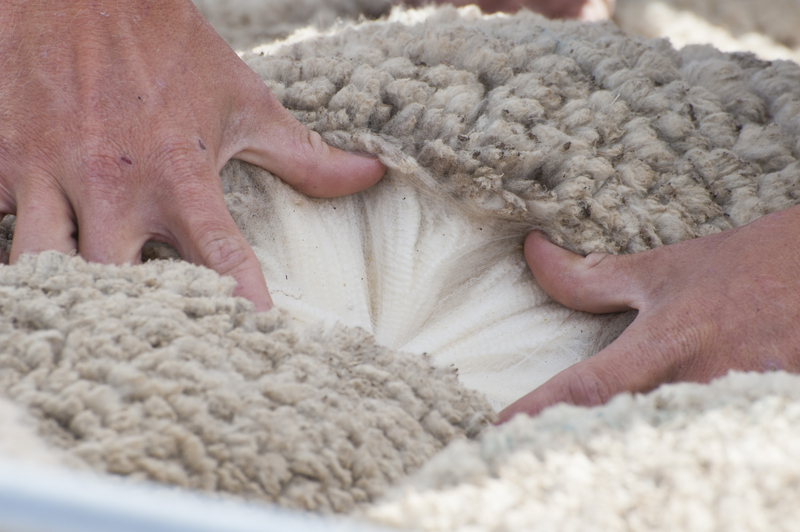 Increased activity noted in the wool futures market this week with seven contracts traded in total through mid and course fiber categories. The 19 micron fibres had one contract traded for January 2019 for 2160¢. 21 Micron fibres had two contracts traded. 12 December 2018 at 2,125¢ and March 2019 at 2100¢. 28 micron fibres saw two contracts traded for March and April 2019, both at 900¢. Similarly, 30 micron fibres saw two contracts traded for March and April 2019, both at 730¢. 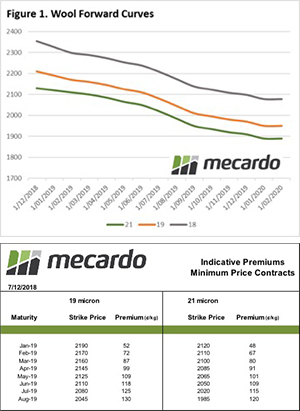 No minimum price contracts or 18 micron futures contracts were traded this week.